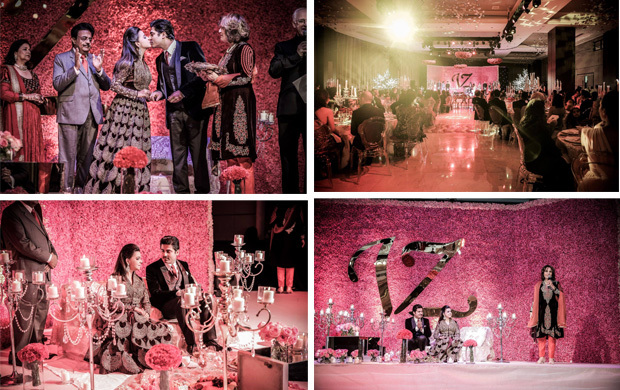 Home > Wedding Blog > Articles | Indian Weddings | Wedding Venues > A-Z of Indian Weddings | All you need to know! An Indian wedding is an explosion of colour, music and traditions and if you’ve not been to one before then you’re missing out! The majority of Indian weddings are Hindu so let’s take a quick look at what makes up these amazingly vibrant ceremonies. The weddings tend to last for many days and unlike other cultures and religions they are made up of a number of different rituals. The exact makeup can vary based on region, family and resources but all will be a celebration of love!! If you are invited to one of theses amazing weddings your invitation should state quite clearly which of the elements are included! The first occasion celebrated is the engagement which can be known as Roka. It is usually held at the bride’s house and is the official declaration of the bride and groom, and their families, to consent to the marriage. Here the wedding date is set and the couple exchange rings. 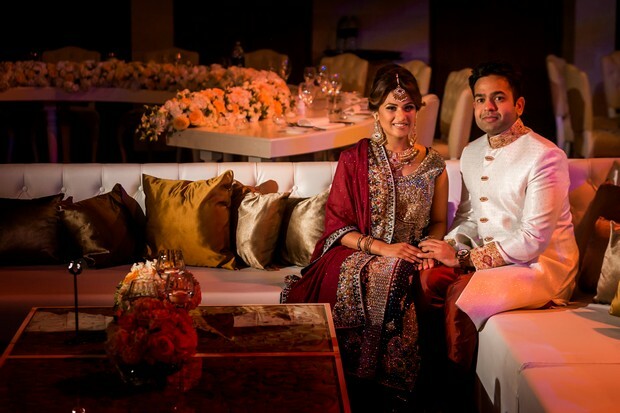 The Mehendi, where Henna is applied to the hands and feet of the bride, is one of the smaller and more private elements of the pre-wedding ceremonies. Close friends and family will gather to share this moment with her. Although generally smaller there is a trend for larger Mehendi with lots of show and pomp, where more guests are invited. 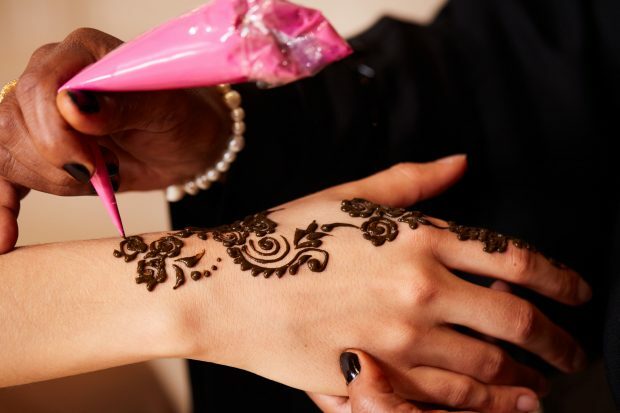 The Henna has intricate designs and often has the initials of the groom. 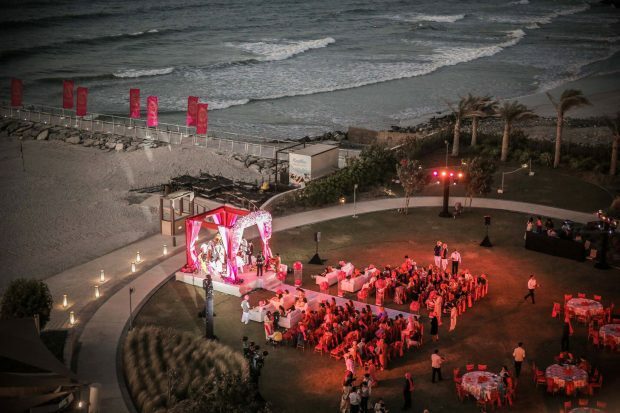 This is usually held the night before the wedding and is an extravagant celebration. 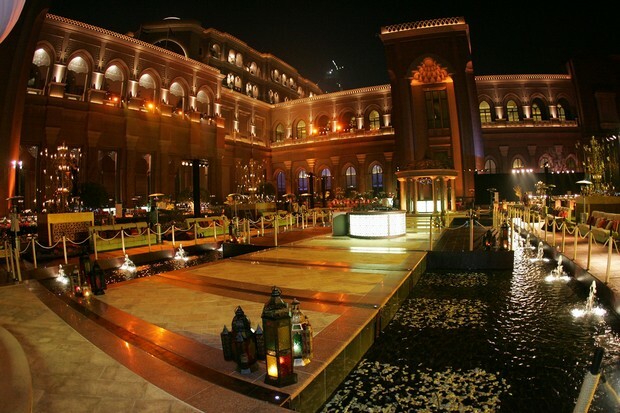 It has a real party atmosphere and people will don their best outfits and dance to Indian music. 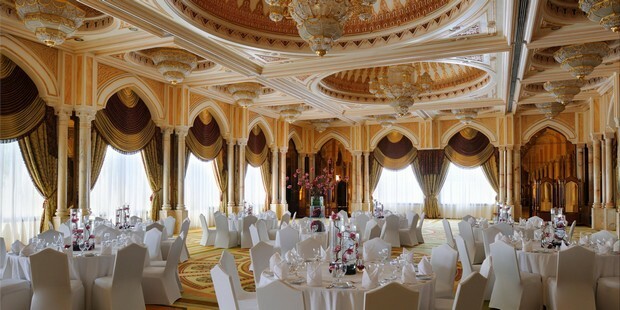 Traditionally guests will perform songs, dances and shows for the couple. 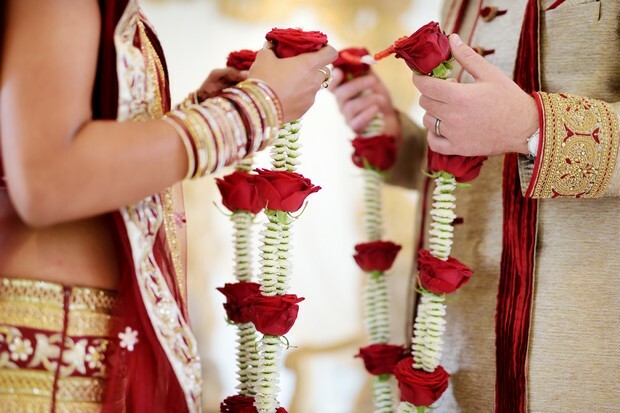 The Hindu wedding ceremony itself takes up to 3 hours and the date and time it is to happen is decided by a Priest who has matched the horoscopes of the bride and groom. 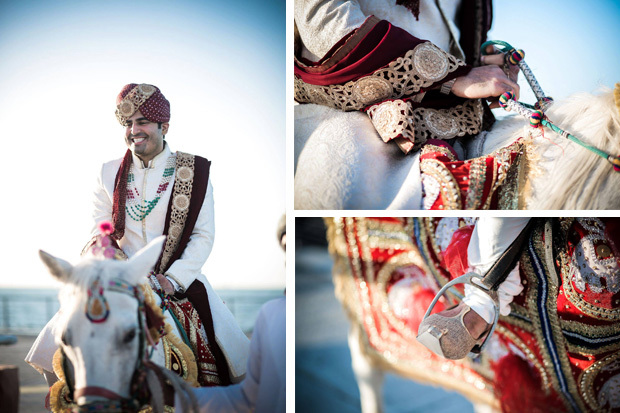 Usually the groom will arrive in a luxurious car or on a horse with music playing. The ceremony takes place underneath a canopy known as a Mandap. The Mandap can be lavishly or simply decorated and each of the four pillars represents one of the four parents. It can be built either inside or outside depending on where the ceremony is taking place. 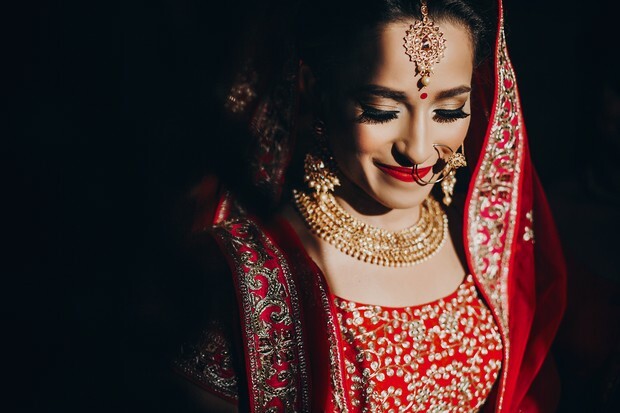 The bride wears lots of ornate jewellery and traditional attire which is adorned with beautiful gems and gold. Elements of this ceremony include the Mangalphera where the couple walk round the fire seven times, the exchange of garlands, applying of red vermillion on the forehead of the bride and the guests honouring the couple by throwing flowers. 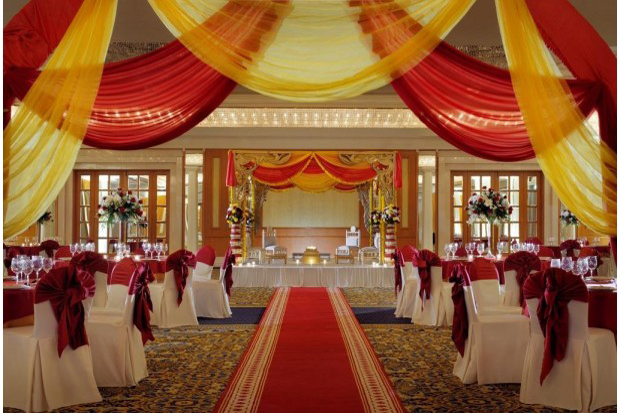 There are a number of post wedding ceremonies and grandest and most lavish is the wedding Reception. This event takes much preparation and will be an absolute spectacle! Here the couple will make their first appearance as a married couple and will be given gifts by their guests. Food is an incredibly important part of Indian weddings and there is usually a delicious spread of traditional regional Indian dishes at the Reception.